 Outdoor Kitchen Equipment, a part of Mid America Restaurant Equip & is a IL based company specializing in stainless steel tables/cabinets and outdoor kitchens for the Big Green Egg, Primo, Kamado Joe, Saffire and other ceramic egg cookers. Over the last 10 years we have made hundreds of tables for customers all over the US. We can custom make almost any configuration but the standard models should fit most end users needs. Combination tables with XL, Large and medium eggs are a specialty. If you want to add sinks, outdoor refrigerators and ice makers just ask. If you want something specific, we will try to get you a quote or help you make a decision. We also work closely with Comstock-Castle Stove in Quincy, IL, the oldest manufacturer of gas commercial cooking equipment in the USA. We have worked with Castle to modify their restaurant duty cooking equipment for use in outdoor applications. We can add their components as well as other components; refrigeration, ice makers, hot water heaters etc into outdoor kitchens. these units are made on a custom basis for each job.